Few people are experts, but then there are folks, like cookbook author and opera professional Fred Plotkin, who are knowledgeable on many topics. A native New Yorker, Plotkin became a student of opera while in college, working with various classical musicians and mentors, such as late mezzo soprano and director of the Lyric Opera House, Ardis Krainik, and well-known Broadway lighting designer Gilbert Helmsley. Always found in the back or front of the house, Plotkin has never graced the stage but has written compelling articles on the singing subject in books and articles. His bestselling and definitive tome Opera 101: A Complete Guide to Learning and Loving Opera, leads the pack for appreciation on the vocal art form. His literary essays have been published in The Atlantic, The New York Times, Los Angeles Times, The Guardian, and Daily Telegraph, to name but a few. 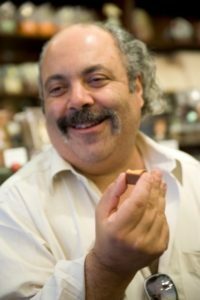 Apart from being a fount of operatic history and knowledge, Plotkin, who has traveled to Italy since the early 1970s, has become a resource for all edible things in Italy. 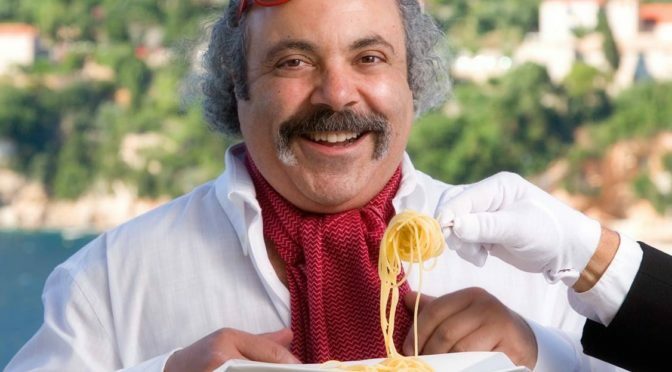 In the nineties, he wrote arguably the greatest book on eating throughout the peninsula, called Italy for the Gourmet Traveler (Kyle Books), making him a famous food person on this side of the Atlantic. The book is currently in its fifth edition and, rightly, has become a must for all gourmands traveling to the boot country. Although still known as an expert on classical singing, Plotkin has become a foremost authority on Italian cuisine as well, penning another five bestselling and award-winning books including Recipes from Paradise: Life and Food on the Italian Riviera, The Authentic Pasta Book, and La Terra Fortunata: The Splendid Food and Wine of Friuli-Venezia Giulia. 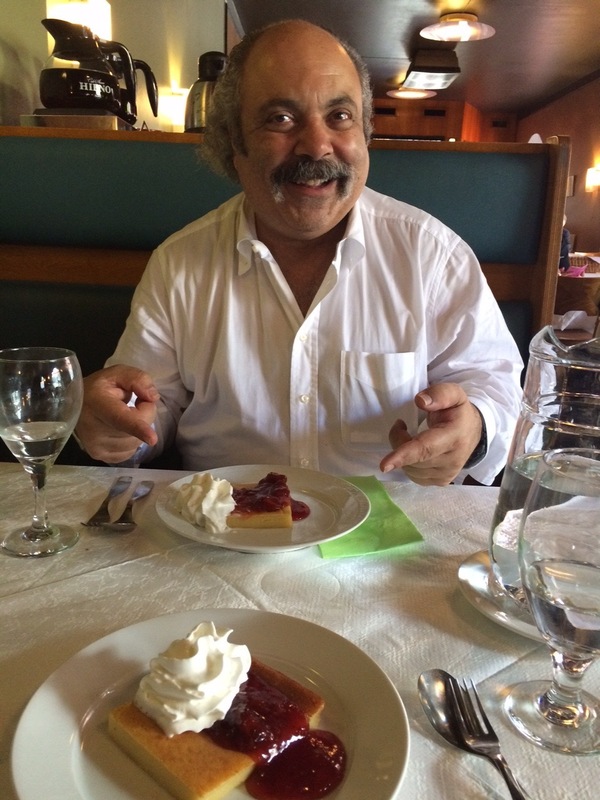 After writing about opera for many papers and magazines, Plotkin now finds himself interviewed about on all things epicurean, appearing in The New York Times, Los Angeles Times, Bon Appétit, Food & Wine, Wine Enthusiast, and other leading food publications. Plotkin can be found discussing his first love — all things opera — on Manhattan’s WQXR. And, in his New York City home, he resides in the kitchen with his mistress – Italian cuisine — making some of the best regional food from the country. The actual savoring of the food or drink being consumed. Trendy, faddish foodiness, with no real awareness of what a food or ingredient means. Italian; everything made with fruit. Organic farmers; Seed-savers; anyone who provides sustenance to those who need it. A tie: Friuli-Venezia Giulia and Liguria, two of Italy’s finest food regions. Break two large or extra large eggs into a chilled glass bowl, taking care to not get any shell into the eggs. Beat the eggs only until yolks and whites combine. Do not overbeat. Fold in any added ingredient, such as small dollops of scallion cream cheese or a grated cheese, such as cheddar or gruyere. 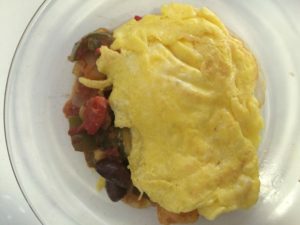 Do not beat the egg mixture if you are adding ingredients. Instead, give the mixture a quick stir. Melt 1 tbsp. sweet butter in a non-stick pan over the lowest heat possible. This should be a pan you only use for eggs and nothing else. Add the egg mixture, let it set for about 15 seconds. Then, using a non stick (and non metal) spatula, gently move the eggs about, occasionally stopping for a few seconds to let them set. Keep nudging them and sliding them in the pan. No violence…no intense heat, no flipping, no active stirring. Gradually the eggs will come to the degree of doneness you desire and then slide them out of the pan and onto the plate. By cooking slowly, you allow the flavor of the added ingredients to permeate the eggs and also achieve the same temperature as the eggs. I’ve always struggled with scrambled eggs–will try this! Thanks!! !